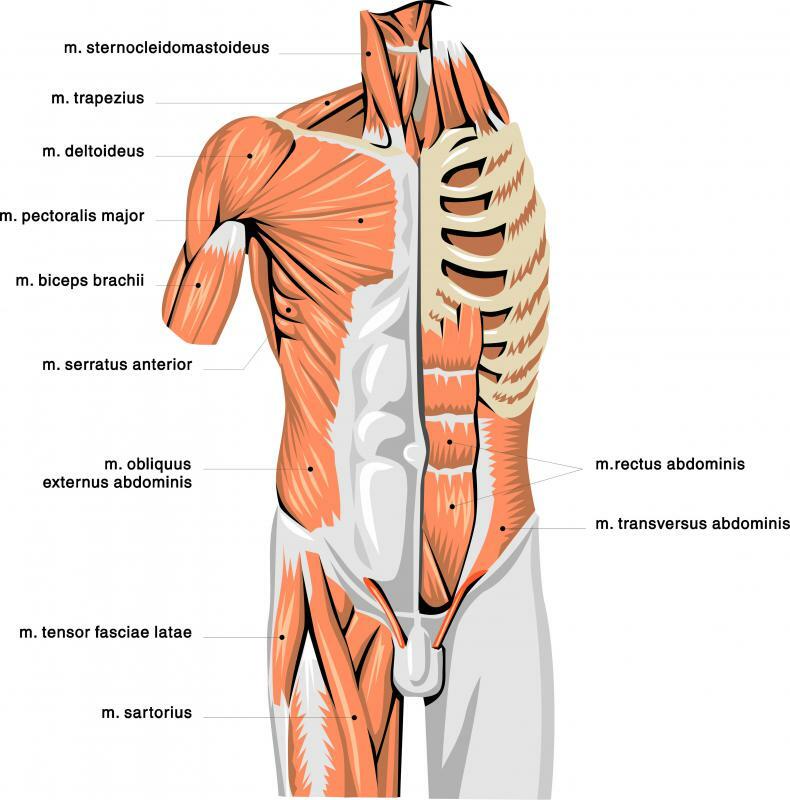 An anatomical illustration showing many muscles in the upper body, including the bicep. Dumbbell curls are best performed with slow and controlled movements. Curls help strengthen the biceps and other muscles of the arms. 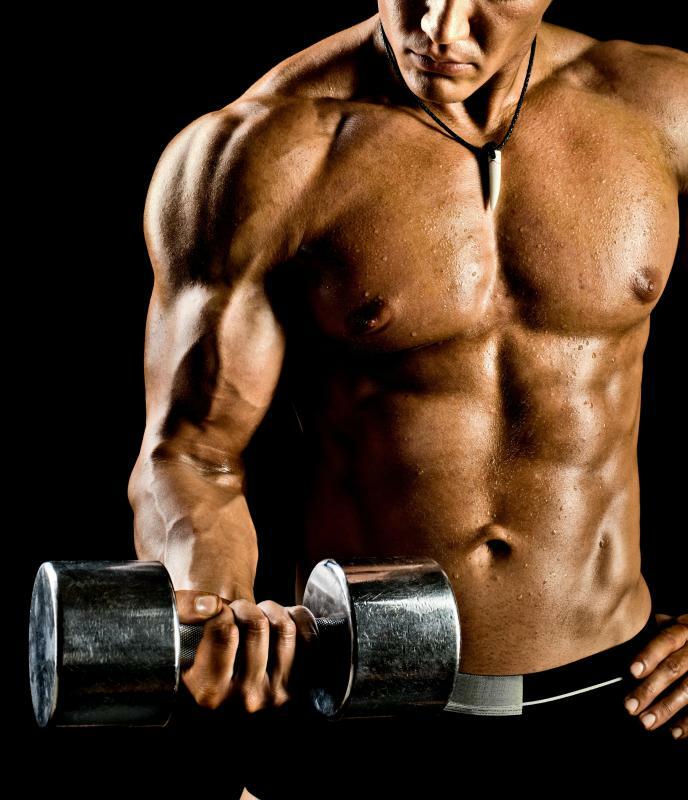 Strength training exercises commonly focus on the biceps. Dumbbell curls are an effective way to build stronger biceps. 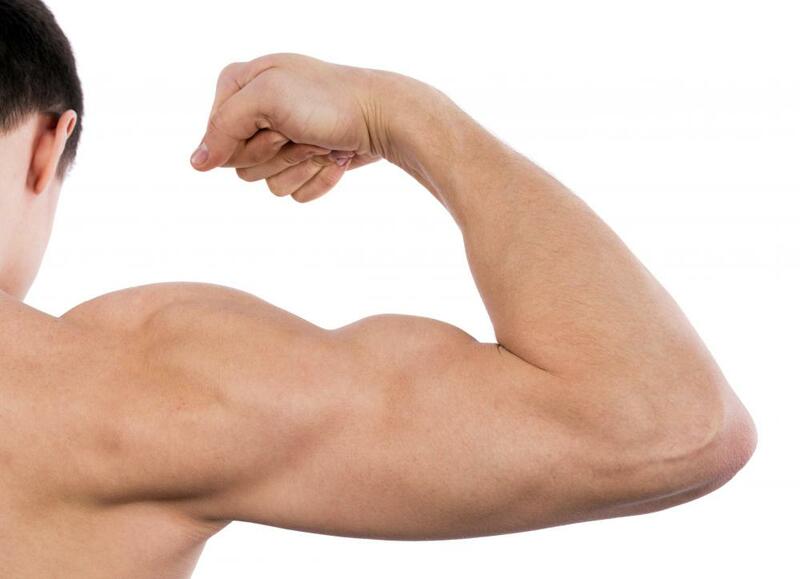 The bicep is the large muscle on the inner side of the upper portion of the arm. Biceps are some of the most commonly focused on muscles in strength training workouts, and their growth is often indicative of the progress of muscle building overall. Isolating the biceps during strength training is simple, whether at home or at the gym, often through bicep dumbbell exercises. A pair of dumbbells provides a range of bicep dumbbell exercises that revolve around varieties of dumbbell curls, such as hammer curls, concentration curls, and incline curls, all of which can work the arms alternately or simultaneously. Curls can be performed either standing or sitting and with or without the assistance of several types of weight benches. Perhaps the most frequently performed of bicep dumbbell exercises is the hammer curl, sometimes referred to as simply the bicep curl. To do hammer curls, hold a dumbbell in each hand with the arms hanging regularly at the sides, with the inner portion of the hand facing toward the body. Bring the dumbbell upward toward the shoulder, bending the arm at the elbow, while rotating the dumbbell so that the inner portion of the hand faces the shoulder. Then lower the dumbbell back to the starting position and repeat for an appropriate number of repetitions. Hammer curls are often performed with both arms at the same time, though arguably the most popular method involves alternating the arms to isolate the respective biceps. Concentration curls are done sitting down with the feet flat on the floor and the legs spread just beyond shoulder width apart. Hold a dumbbell in one hand just inside the foot on the same side of the body with the elbow against the inside of the thigh and, bending the arm at the elbow, bring the dumbbell upward toward the face. Lower to starting position, repeat for the desired number of repetitions, and then perform the exercise with the other arm. Dumbbell preacher curls involve isolating the bicep by lying the arm, elbow down, flat against a bench positioned at a 45-degree angle while seated. As in the other bicep dumbbell exercises, bring the dumbbell upward toward the shoulder, bending the arm at the elbow. Then return to starting position and switch arms. Incline dumbbell curls are done seated on an incline bench with the back supported. Simply perform the hammer curl, either alternating or with both arms simultaneously, while positioned on the incline bench. What Are the Different Types of Concentration Exercises? What Is a Bicep Bomber? What is a Lying Tricep Extension? What are Different Types of Dumbbell Exercises? What is a Hammer Curl? What are the Different Types of Bicep Workouts?